Not every Trane dealer is also a certified Trane Comfort Specialist — but at Progressive Service Company, we’re proud to be both. Our Raleigh HVAC technicians provide sales, installation and repairs of Trane systems for residential and commercial customers across the Triangle area. 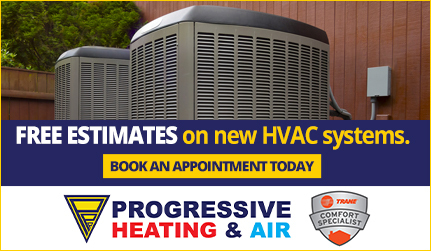 When you’re looking for expert Trane HVAC services, call the best: call Progressive! With our 100% guaranteed services, certified technicians and competitive prices, we’re one of Raleigh’s leading Trane heating and air specialists. To earn this certification, Progressive technicians undergo in-depth training according to Trane’s rigorous standards. As a requirement of our Trane Comfort Specialist status, our Raleigh HVAC team stays up-to-date on the latest installation and repair techniques, and always strives to deliver an unparalleled level of customer service. 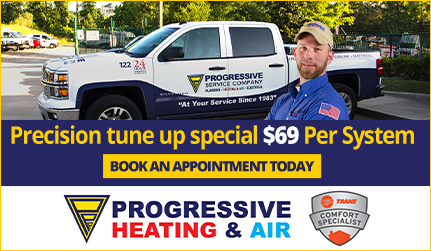 Whether you have a residential or commercial HVAC system, working with Progressive’s Trane-certified team means you can feel confident that your heating and air conditioning system is in good hands. We’re Raleigh’s trusted independent Trane dealer, offering all aspects of HVAC service, from AC and furnace repair to new system sales and installation. In addition to new Trane HVAC installations, skilled Progressive technicians perform Trane maintenance services, repairs and replacements. Keep your Trane heating and cooling system functioning at peak performance with help from our Raleigh HVAC experts! 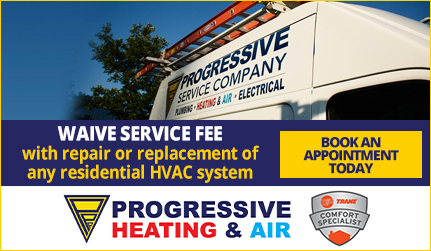 At Progressive Heating & Air, we’re not just a Trane dealer — we’re certified Trane Comfort Specialists, offering 100% guaranteed HVAC services. With a combination of innovative Trane products and expert service from Progressive, you’ll receive a heating and AC system that will deliver the maximum in efficiency, reliability and comfort. Contact Progressive today to see why we’re Raleigh’s preferred Trane HVAC repair and installation specialists. Our certified Trane Comfort Specialists offer sales, installation and repairs across the Triangle area, including Raleigh and the surrounding areas.